Finish Time Approximately 6:30 PM. Today we will leave hotel at 8 am. And it takes about 4 hours to get to Lake Namtso. The 250 km landscape is amazing. We will pass by some small Tibetan villages near Duilong county, Yangpachen town and Damxung County. If it is in the summer, we can see the green scenery, the grand grassland along the way. And we can see the Tibetan Shepherds, their yak tents houses, and the wild and lovely Tibetan national animals. And we could even go to the inside of the yak tent and learn the Tibetan Nomad’s people’s shepherd life. When we get to the Lake, it is around lunch time, so we can choose one restaurant to enjoy the food on such high altitude. And we can also enjoy the leisured walking by the holy lake. Be sure you have scarf, rainy clothes, and sun glasses because the weather may change suddenly. After the sightseeing, we will leave around 3 pm and drive back to your hotel in Lhasa around 7:30 pm. 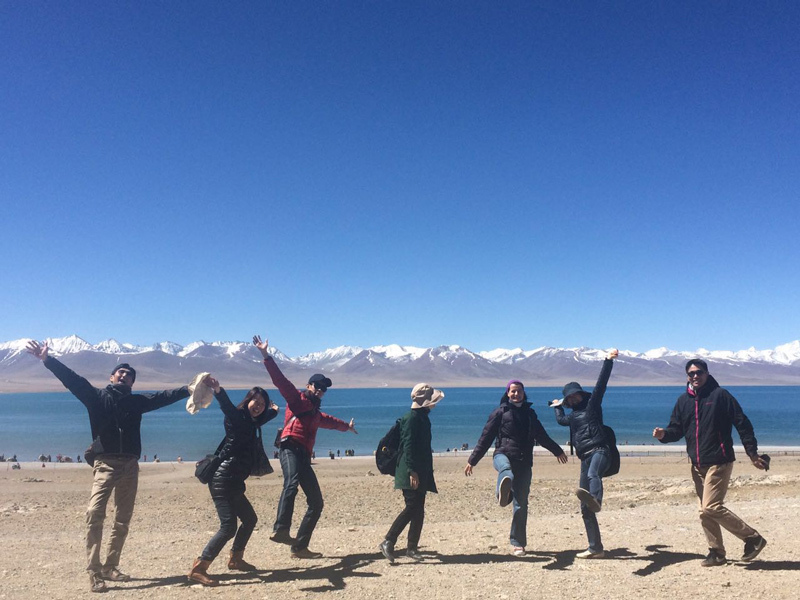 Hope you enjoy the one day Namtso Lake tour. 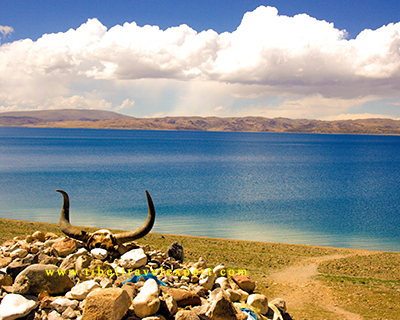 Located 220 km from Lhasa, Namtso Lake is the second largest salt water lake in Tibet. It is 70 km long and 30 km wide. The lake surface average altitude is 4,718 meters. 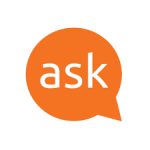 Its shape is like a rectangular. You can see the fantastic views from Lachen La Pass. 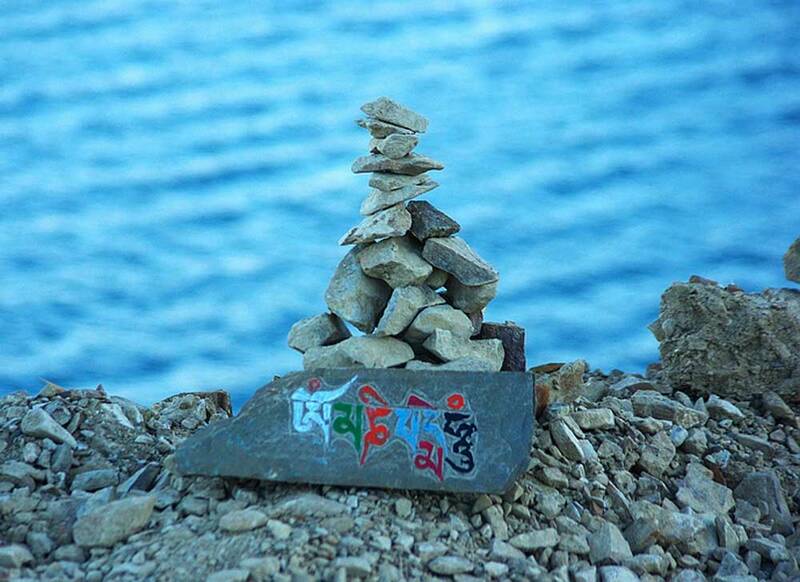 Surrounded by Nyencheb Tanglha snow peaks, Namtso Lake presents different levels of blue color, from crystal blue to deep blue. Tashi Dor is a hermitage cave near bird sanctuary. There are two high rock towers close to it. From Damzhung to Tashi Dor, the total distance is 74km. It is said that Guru Rinpoche and his consort Yeshe Tsogel had a strong connection with the cave. 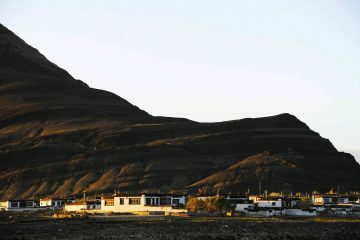 Moreover, many extraordinary lamas have visited here in the history. The 3rd Karmapa Rangjung Dorje was one of them. Since it is an ideal place for meditation, Nyingmapa and Kagyupa hermits occasionally live here now. Also, there is a newly built temple which has three nuns and two monks. The temple follows the Nyingmapa tradition. For example, it holds Konchok Chidu ceremonies on the 10th day of the lunar month and Dudjom Troma ceremonies on the 25th day of the lunar month. 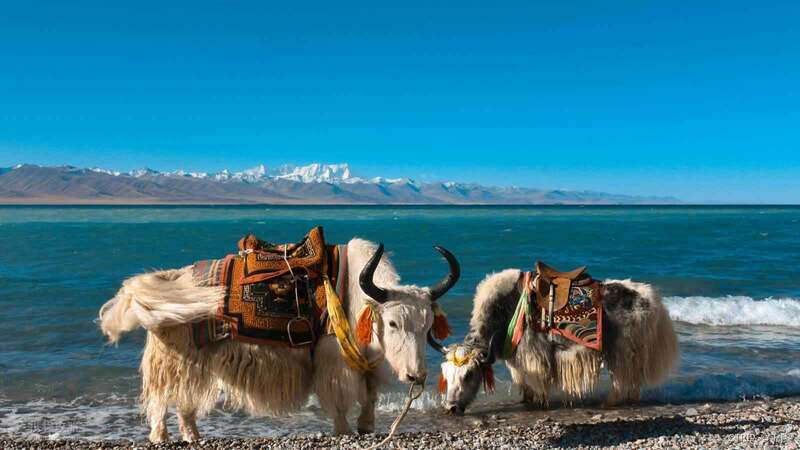 On the way to and from Lake Namtso, we will have chances to visit local Tibetan Nomad’s yak tent house, take a short time to visit local Tibetan home and learn their daily life and nomad culture. Hope you will enjoy the authentic Tibetan experiences. If your trip covers Mt. 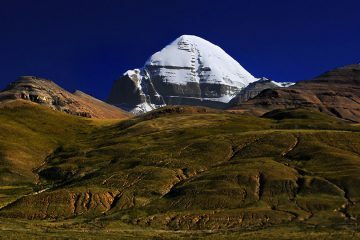 Kailash and you want to combine Lake Namtso trip, please book with us at least 30 days in advance. 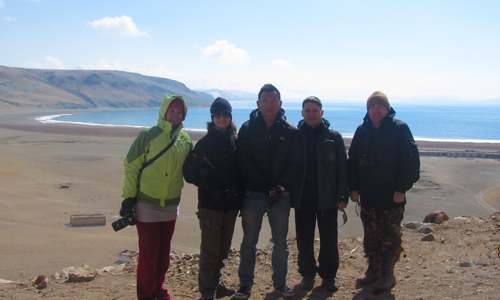 We only had a few days in Tibet and The Lake Namtso Tibet tour was fantastic way to spend one of them. It was nice to be able to get out of Lhasa and see some of Tibet’s scenery. The lake was beautiful and we were able to stop and visit nomads. Do not want to join a group with more than 8 people but want to enjoy this Highlight day tour of Tibet? No Problem! The 500 km round way trip covers lots of beautiful landscapes and the Tibetan Nomad People’s life experience. Go into the Yak Tent house and possibly see how local shepherds making the tea, or yogurt, drink a small cup of barley beer. More over you can stop more flexibly on the way when you feel it is time to take pictures or take a break. When you have 3 or 4 people together, this is absolutely the right choice.